According to the World Health Organization (WHO), Ebola has claimed about 4,818 victims globally since its outbreak in March 2014. With Ebola victims found throughout the globe, most deaths have fallen in the three West African countries of Liberia, Guinea and Sierra Leone. The deadliness of the virus is indisputable. However, the rate at which the virus spread within these three countries is extremely worrying. A variety of factors conspired to the fast spread of the virus in the West African region. The proximity of the countries, cross-border social and trade relations, the centralization of economic and political activity in the capitals coupled with cultural beliefs about the nature of the virus and its remedy, have all allowed the disease to spread rapidly. There is one very important factor not mentioned above which is the ill-organised social health care systems and lack of medical expertise and facilities to treat the infected. All three West African countries deal with a lack of overall trust in their governments, triggered by a long history of political intolerance and corruption. Too often, Sierra Leoneans, Guineans and Liberians, have endured experiences of their governments making false promises with deeper implications that their initial reaction to the outbreak of the virus was one of cynicism. 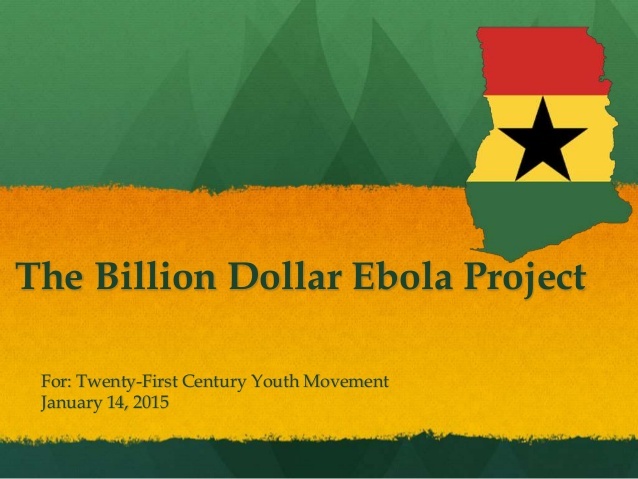 The report on Ebola was perceived as just another scam by their governments to attract fund from international donors. One of the main reasons these countries have little or no investment in social healthcare and medical services is because health budgets have been plundered by government after government. Even now, when financial aid from around the globe is entering these countries, there is little to no transparency on where and how these funds are being spent. The governments have to step it up and show both their citizens as well as the international community that their fight against Ebola is at the same time a fight against corruption. Join us for The Billion Dollar Ebola Project #postebolastrategy webinar to discuss how the governments can regain their citizen’s trust and work together to contain the virus on both short and long term.